Sienna Miller is well known for her impeccable style, and has been a top source for our wardrobe inspiration for many years now. Stepping out to attend the High Rise film premiere in Spain, the fashion-savvy Brit has done it again, this time making us wanna throw it back to the 90s in our attempts to get her look. Yes, Sienna Miller has given the official nod to the decade of grungy minimalism, and if it’s good enough for Sienna, it’s good enough for us. Giving this retro slip dress a modern edge, the 33-year-old wore her freshly dyed hair in a sleek updo, showcasing some tough-looking earrings while finishing the look with a fresh golden tan. If, like us, you were on the fence about the 90s comeback, let this be a lesson in how it’s done. Sienna’s dress ticked all the right boxes trend-wise – maxi length, high-shine and fitting in all the right places – and it strikes the perfect balance between grunge and glamour. Sienna’s designer frock may be by Galvan (an incredibly chic label that’s also a little on the pricey side) but should you fancy taking on the look yourself, there are a few other options out there that won’t blow the budget. We’ll be snapping-up this mid-length option from fash-pack favourite Raey, and teaming ours with Converse and a longline leather jacket to keep the look casual. 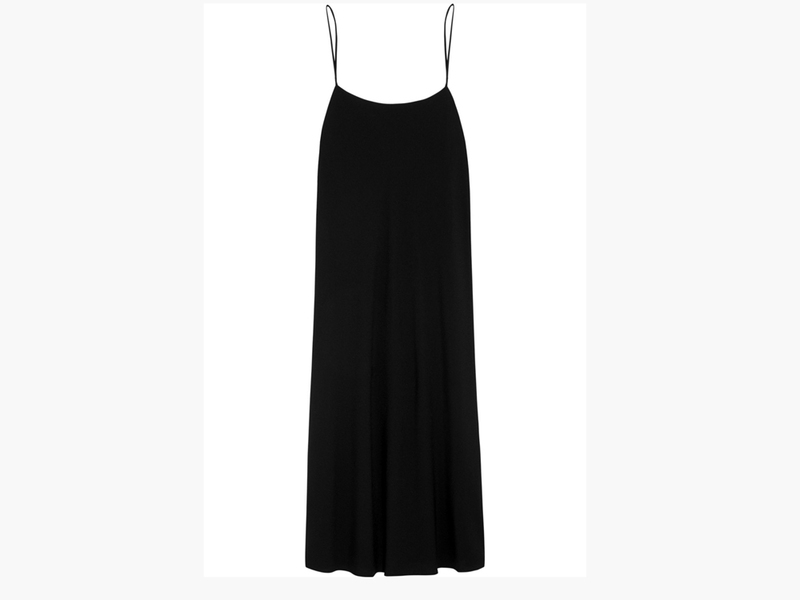 Or, if it’s the party vibe you’re after, you may want to consider The Row’s LBD, or Topshop’s plunging number. For all those who want to get Sienna’s exact look, check out Galvan’s equally chic slip version below. So if your looking to re-charge your party wardrobe, take your cue from the ever stylish Sienna and invest in this new-season hero, pronto.